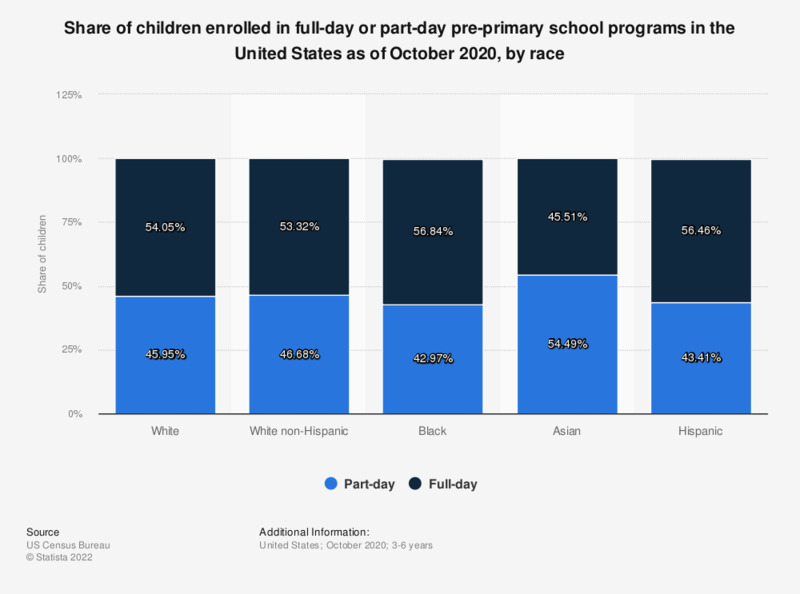 This graph shows the share of children that were enrolled in either full-day or part-day pre-primary programs in the United States in 2017, by race. In 2017, about 50.56 percent of Hispanic children were enrolled in either nursery school or kindergarten. Of that 50.56 percent, 36.52 percent were enrolled in a part-day program, and 63.53 percent were enrolled in a full-day program.